Spotify IPO: What Does It Mean For The Streaming Service? What Does It Mean For The Streaming Service? Spotify, which has been valued at over $20 billion by private investors, will be listed on the NYSE this coming March or April (official date unconfirmed at this time) as a direct listing. In what is being considered a bit of a big move by many, the Luxembourg-based company is foregoing the traditional IPO process, and could be setting itself up to be either a trendsetter or a cautionary tale for tech companies that decide to follow suit. By not issuing new shares and forgoing a traditional initial public offering, opting for a direct listing instead, Spotify could set a new trend for hot tech companies looking for an IPO alternative. While this method helps cut down on costs for the firm going public -- which then does not have to pay banks to underwrite an offering -- it doesn’t provide the same safeguards as an underwritten initial public offering, which may result in the price of shares being volatile and/or declining significantly upon listing. Some see this as a sign of strength, because Spotify is not preventing its current shareholders from selling the stock the day it gets listed, and it implies that the company is confident that the public already understands Spotify's value. Many people are speculating that Spotify is choosing to sell some of its existing stock instead of issuing more shares to raise money, in part because of the performance of fellow tech darling Snapchat. While Snap (Snapchat’s parent company) did not forego the traditional IPO process, it is easy to compare the two. At the the time of its IPO, Snap had approximately the same number of users and suffered from many of the same criticisms as Spotify (inability to generate revenue, sustainability of their business model, etc.). It’s been a bumpy ride so far: after coming public at $17 a share in March, Snapchat’s stock hit its peak of $29.44 on its second day of trading, before plummeting to around $11 by mid-August, and sits at $17.02 a share today. Spotify is not alone in this quest, as startups such as Uber and Airbnb have also chosen to raise money through private markets instead. So what does all of this mean for the future of the streaming service? One hurdle that Spotify will have to overcome is the inevitable and difficult negotiations with record companies. Currently, the company must pay an exorbitant amount of fees in royalties. Another obstacle are the obvious competitors. While Spotify is currently the largest streaming service in the world with 159 million users (paid and free), the company still incurred a 1.5 billion net loss last year. Even on an operating basis, which doesn’t include financial transaction costs or taxes, Spotify lost $461 million. Apple’s music streaming is just a tiny part of the company as a whole, and would theoretically make them less concerned about losses in the short term since they can afford to operate a streaming service forever without making a dime. Amazon also has their own streaming service, and could be formidable competition as well. On the other hand, Spotify has many loyal users who have built up a library of music and grown accustomed to the company’s personalized playlists, and may not want to attempt to replicate that library on a rival service. Perhaps the most interesting solution for Spotify’s financial struggles would the be the sustained growth of their own tours. Last year Spotify began dabbling in sending artists on tour based on its own data and algorithms. 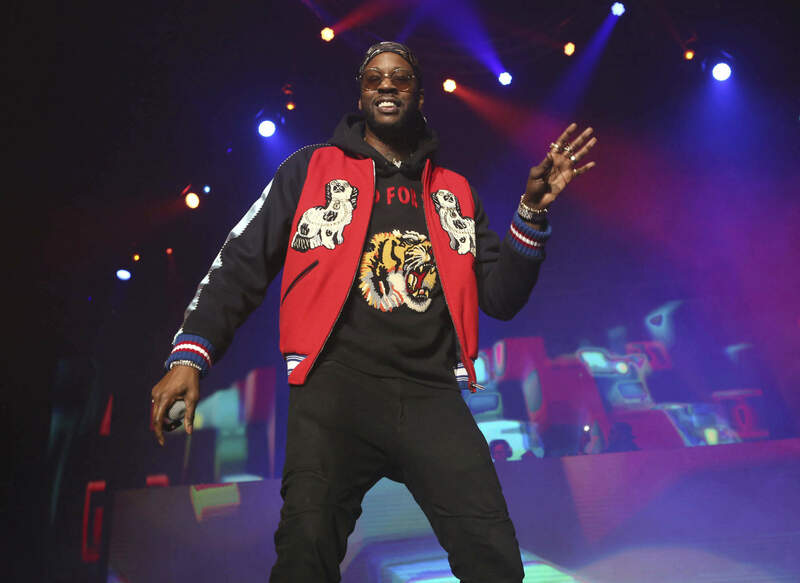 The nationwide tour for Rap Caviar, a playlist which boasts more than 8.7 million followers, was a major hit in 2017, and is returning in 2018 with a New Tour Lineup featuring Migos, 2 Chainz, Tory Lanez, DJ Mustard, Lil Pump, and more. Another play for Spotify would be to become a more multifaceted platform. The streaming service recently announced plans to move more aggressively into podcasting (where it is already a top provider) and multimedia news. Lastly, it is worth noting that Spotify is still very much in a growth phase. Since Wall Street responded favorably to Netflix's sustained subscriber growth, and this could help solidify Spotify once it's a public company. What it comes down to is this -- how cautious and how much patience will investors have when it comes to a company that doesn’t make money? When you're a publicly traded company, you have to share a lot of information and you have to do it regularly. When you're private, you can keep things like revenue or user growth to yourself, but now, as a publicly traded entity, Spotify is going to have to report that number publicly to investors. That means if things aren't going well, all of us are going to know about it. Overall, I think there are a lot of bright spots for Spotify, which still has the most users of any streaming platform and has been a trailblazer in streaming trends such as curated playlists and now touring. Only time will tell if the popular streaming app will come out on top against some of the other most powerful companies in the world.